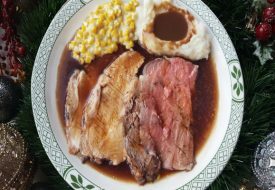 In conjunction with Mothers’ Day, Lawry’s The Prime Rib is now offering a weekend brunch. Show your appreciation for your Mum by bringing her to enjoy a delightful and sumptuous four-course brunch with great ambience and a unique selection of dishes specially-created by their executive chef. 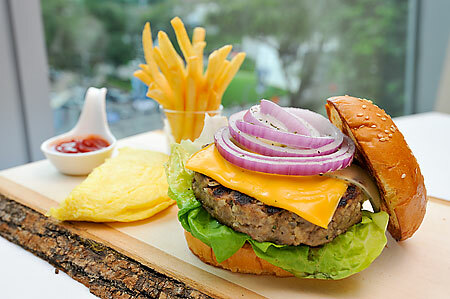 Treat your mother to a luxurious spread of tasty Western dishes to savour on a lazy weekend afternoon. You and mom can try their light Famous Original Spinning Bowl Salad for starters, and take a pick out of three scrumptious appetisers: fresh Canadian oyster shooters, cream of black truffle mushroom, or Hokkaido scallops. 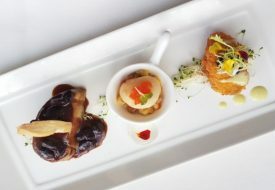 Both of you will be spoilt for choice, as you can pick from four exquisite, tantalising mains. 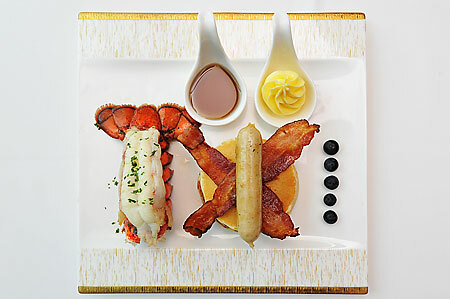 The Oven Baked Nova Scotia Atlantic Lobster with Pancake Stack will put you in a celebratory mood with its mango salsa, bacon, sausage, maple syrup and berries compote, at $88. Or, wolf down a Grilled Wagyu Quarter Pounder Burger, which comes with the standard Wagyu beef patty, cheese, vegetables, mushroom omelette and fries, at $88. Satisfy your taste buds with the Hungarian Foie Gras Pizza, consisting of cheddar, mozzarella cheese and arugula $78; or try the Pan Seared Barramundi Fillet, at $78. For the less adventurous eaters, they can stick to the Classic Eggs Benedict, with the English muffin, chicken ham, poached egg, grilled white asparagus, grilled tomato halves, creamed spinach and hash brown with hollandaise sauce, at $78. End off your four-course brunch with a satisfying Cappuccino Chocolate Mille Crepe Cake, Homemade Almond Cherry Scone, Italian Coffee or Gryphon Artisan Teas. 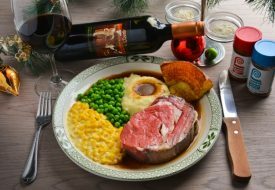 If you have not dined at Lawry’s, this is a good time to check out their delectable offerings. With every two brunch sets ordered, diners will receive a limited edition Lawry’s olive wood curve spatula (worth $25) by the renowned Jean Dubost Laguiole of France. Your mother will also receive a goodie bag. What’s more, participate in their “My Marvellous Mum Contest” and win attractive prizes from Scanpan, Spa Artisan, Exquisite, and of course, Lawry’s dining vouchers. 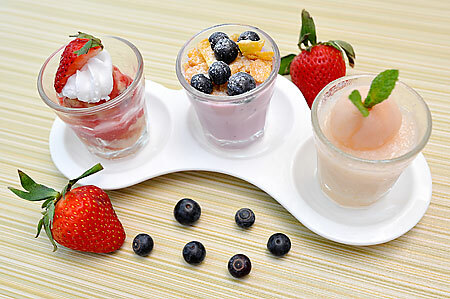 Lawry’s Weekend Brunch is available every weekend starting from May 11 and 12, from 11.30am to 4pm. The Mother’s Day Dinner is available on May 11 and 12 from 5pm to 10.30pm.